Once only an affordable luxury for corporates that could afford the legacy methods of disaster recovery (DR). Now with the development of scalable, cost effective solutions, DR has opened up for every business. The growing confidence in the cloud has further brought DR and Business continuity to the forefront of industry discussion and within reach of the SME business. Enterprises, especially those under the SME banner, are increasingly concerned with business continuity – the strength of infrastructure has become a critical matter because enterprises heavily rely on their IT for business operations. However, DR strategy is more than just backup and alternative servers, it requires substantial planning and while remote infrastructure offers a part-solution, other factors need to be considered. Let’s deal with the Cloud! Outsourcing to the cloud isn’t a revelation, but nor should it be the sole component of a DR strategy. Yes, the cloud is a safe, secure space (following appropriate implementation), but companies need a multi-faceted DR plan which takes into account specific infrastructure needs and challenges. Many businesses cannot see the risks that come from negating DR, so overcoming indifference is half the challenge. Investment in protective measures is crucial, whether an enterprise wants to admit it or not. DR is in its simplest of forms, insurance for the business. The cloud certainly offers a part-solution, but it’s the protection that’s important, not the cloud itself. The cloud is merely a means to an end. That said the cloud isn’t to be discounted, and for the SME sector, offers the most valuable form of protection. It enables corporate level, high grade IT available for a fraction of the cost of what it would have been five years ago. For example, medium sized companies can now implement cloud storage to protect data in high performance external data centers and guarantee the recovery from factors that would have severely interrupted operations in the past. Furthermore, the flexibility of the cloud ensures the longevity of a business. Storage requirements can grow in line with needs, while multi-site backup simultaneously ensures the full protection of data, whether archiving files for compliance or replicating critical data. At its heart, disaster recovery is more about the preventative protection of a business rather than a reactive solution. Obviously disaster situations do not discriminate against smaller companies and the ability to recover from a disaster can become more difficult the less prepared a business is. 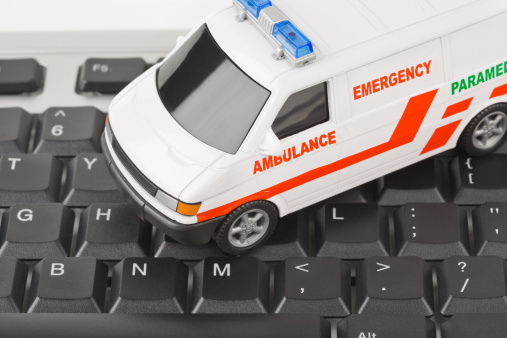 The capital and technology required to survive a DR situation can be substantial, so preventing a disaster is in the best interests of a business. Underinvestment in DR infrastructure is concerning and SME companies often only develop an appetite for DR strategy once a disaster has occurred and damage experienced. Every business should implement procedures for data backup, infrastructure recovery, remote access and disaster space. An enterprise should also consider outsourcing systems management for the prevention of small-scale downtime. For the SME sector threats of flooding and fire can seem unrealistic – more likely to occur are transport strikes, bad weather or malware. These regularly affect businesses and many experience lost revenue because of poor planning. Most recently riots could also be a reason for invoking disaster recovery. Remedying the situation could be as easy as replicating data to an off-site data Centre to spread the possible points of failure, or ensuring remote access is available for staff to work when conditions prevent them from reaching the office. While no strategy can guard against every issue, a business should always be able to recover from whatever occurs. The first stage is to assess what is critical and highlight what is potentially damaging. Once the existing infrastructure has been audited, required changes to systems and policy should follow before extensively testing the new IT structure. Finally to conclude, a review of the plan’s effectiveness needs to occur to remove any weaknesses. The strategy should be consistently reassessed to ensure it is in line with best practice and the latest technological developments. Specialist DR Providers can manage the above, leaving a business to focus on its core mission. Their experience in IT infrastructure and offering the strongest solutions is invaluable; as is their proactive monitoring to ensure the health of infrastructure, offsetting the chance of disaster. Also worth considering are protective measures like workstation monitoring and administrative lockdown to ensure the standardisation of machines. Standard users should be prevented from making rogue software decisions which could result in the possibility of disaster. It also directly reduces the total cost of ownership because the chance of user error is reduced and maintenance requirements are cut. Obviously large scale disasters do occur. In the case of a DR situation which destroys premises, the immediate relocation of a workforce can be critical for ensuring business continuity. In the short term, having DR space available can make the difference for an enterprise’s survival. Mission-critical departments can be relocated to the DR space to continue working while fringe systems and staff work remotely as the business deals with the disaster. This reduces the strain on recovery and guarantees a business can still operate. Invoking a DR plan is obviously the only way it can be fully tested and for most, DR situations are limited to small-scale downtime. However, those can still be costly and planning for every situation is no longer an unachievable aim.